If you’re in the market for a new SUV, then you should seriously consider the 2018 Mazda CX-3. Then, once you’re convinced that this nameplate is the proper choice, you should seriously consider making that purchase from DePaula Mazda. Ultimately, if you’re eyeing a 2018 Mazda CX-3 in Albany, New York, then the model and the dealership are a match made in heaven. If you’re in the market for a new ride, then you won’t find a more impressive offering than the 2018 Mazda CX-3. The SUV provides many of the attributes that drivers expect from the brand’s vehicles, including optimal performance, an impressive interior, and a host of safety functions. At the end of the day, you’ll be hard-pressed to find a better option. Since you’re going to be dishing out a pretty penny on your new SUV, you’ll surely be relying on some safety functions to keep the vehicle out of harm’s way. Fortunately, the 2018 Mazda CX-3 delivers, as the various safety features will play a significant role in protecting and preventing accidents from occurring altogether. The SKYACTIV-VEHICLE DYNAMICS with G-Vectoring Control allows the driver to always have a proper handle of their SUV, even in the worse road conditions. The accompanying i-ACTIVSENSE technology will also provide the driver with an extra set of eyes, assuring that they’ll never be in harm’s way. Inclusions like the Lane Departure Warning System, Advanced Blind Spot Monitoring, and the Distance Recognition Support System will prove to be invaluable on the highway, while the Smart City Brake Support and Rear Cross Traffic Alert should reduce the chance of a fender bender. In the event of an emergency, drivers can rely on the SKYACTIV-Body to keep all occupants safe and secure. Thanks to the “ultra-high-tensile-strength steel,” drivers can expect their vehicle to absorb the majority of an accident’s energy, and this should also play a significant role in reducing injuries from occurring. Ultimately, these various features emphasize why the 2018 Mazda CX-3 is one of the premier family vehicles. The 2018 Mazda CX-3 may not be known as a luxury SUV, but you certainly wouldn’t know that when you take a peek at the interior. After all, engineers did an admirable job of including a number of notable technological features that will improve the entire driving experience. The MAZDA CONNECT system is the real star of the interior, as the unit makes it incredibly easy to access a number of applications via the intuitive touchscreen unit. If you tend to enjoy jamming out to your favorite tunes during a long road trip, then we’re sure you’ll want to opt for the available Bose Surround Sound System. If you ending up adding this particular unit, you’ll receive an unmatched listening experience via the seven-speaker sound system. The technology doesn’t end there. The Active Driver Display is one of the more clever inclusions, as the system displays a host of important information right in front of the driver. This way, you’ll never have to strain your neck in order to view vehicle diagnostics, fuel efficiency, or speed. Meanwhile, the Commander Control Knob allows you to easily access all of these technological inclusions without taking your eyes off the road (and vicariously compromising safety). Finally, drivers can also anticipate adequate interior space when they opt for the 2018 Mazda CX-3. The vehicle provides a respectable 12.4-cubic-feet of space behind the rear seats, which should be more than enough room to fit any school projects or cargo. However, drivers can unlock up to 44.5-cubic-feet of space behind the second row, which should provide you with plenty of room to fit whatever luggage you want to bring along on your road trip. The 2018 Mazda CX-3 has done an admirable job of emphasizing the “sport” aspect of a sports utility vehicle. Accompanied by an intuitive SKYACTIV-Drive six-speed automatic transmission (with a manual shift), drivers can ultimately anticipate an impressive 146 horsepower and 146 pound-feet of torque from the SKYACTIV-G 2.0-liter DOHC 16-valve four-cylinder engine. While these numbers certainly aren’t world beaters, they’re still among some of the best numbers in the entire class. Of course, the engine does more than provide impressive power specs. Rather, drivers can also anticipate unbelievable efficiency numbers from the SUV, as well. Thanks to inclusions like Variable Valve Timing, drivers can ultimately anticipate a 34-mile-per-gallon highway fuel efficiency when the unit is accompanied by the front-wheel-drive system. These numbers are even impressive when the SUV is equipped with the all-wheel-drive system, as drivers can capitalize on the 32-mile-per-gallon highway fuel efficiency. Now that you’ve done your research and determined that the 2018 Mazda CX-3 is the perfect car for you, it’s time to shift your focus to the buying process. 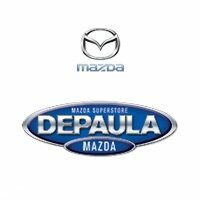 Well, if you live in the Albany, New York area, you can’t make a better choice than DePaula Mazda. The dealership provides their customers with all of the attributes they could possibly be seeking from a car seller, leading to an optimal buying experience. 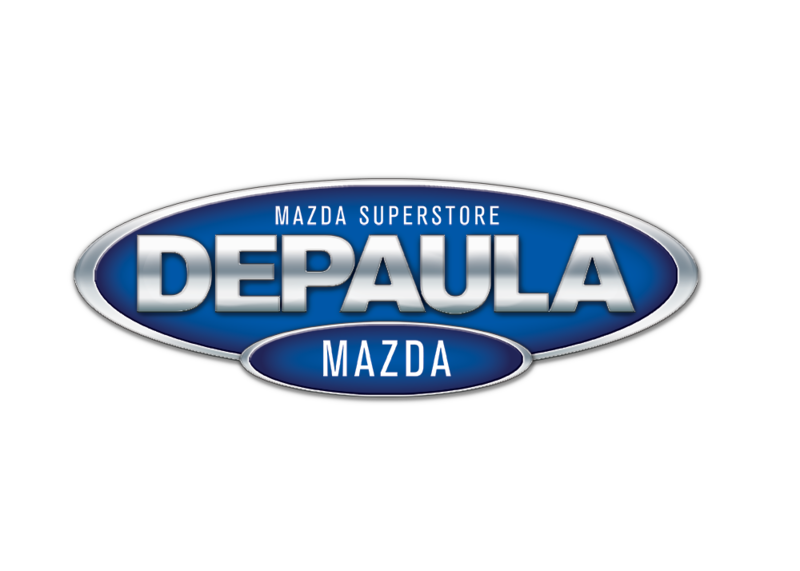 Ultimately, if you’re looking for a stress-free endeavor, you should consider DePaula Mazda for your next new car. We’re assuming that there aren’t any car buyers who are actively seeking a grueling buying experience. Even then, it can be tough for these individuals to find a convenient process. Fortunately, DePaula Mazda delivers, as the dealership provides their customers with several convenience factors that should improve the entire ordeal. In particular, the convenient hours make the process a whole lot more bearable. The sales department is open on Monday through Saturday starting at 8:30 am, while the service department and the parts department are also open six days a week. Ultimately, you’ll never have to shift around your busy schedule in order to visit the lot. Plus, it’s incredibly easy for customers to find the premises. Located right near Interstate 90 in Albany, New York, prospective buyers will never have to waste time finding the lot. That means they can better dedicate their precious time to the actual car-buying process. 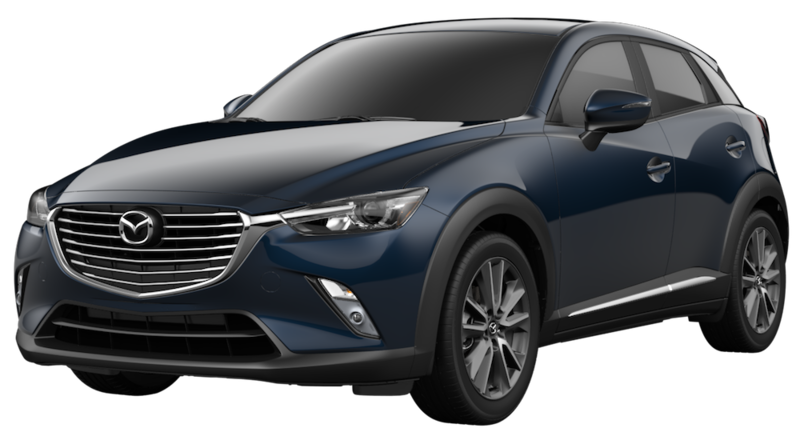 While the 2018 Mazda CX-3 is seemingly the perfect choice, customers will still have a whole lot of options at their disposal if they shop at DePaula Mazda. After all, the dealership is fully stocked with a number of logical options, leading to some tough decisions for the customers who head into the business. Ultimately, customers will have the chance to choose from more than 230 new options as they’re shopping around, leading to its fair share of tough decisions. Meanwhile, if you’re operating on a bit of a budget, customers can turn to the more than 100 used vehicles that are sitting on Depaula Mazda’s lot. Therefore, if you’re looking to save some money, it will be more than possible when you pursue a vehicle from this dealership. Fortunately, your relationship doesn’t have to begin and end when you’re making your purchase. Rather, DePaula Mazda has also done an admirable job of providing their customers with an array of additional services, as well. Specifically, the finance department is focused on finding a financial deal that works for both sides. That way, customers won’t find themselves opting for a deal that puts them into financial disarray. Meanwhile, the dealership’s service department will repair or maintain any aspect of your vehicle. Thanks to the team of expert technicians, you can be assured that this work will be done right. Instead of wasting money on an untrustworthy mechanic who doesn’t know what they’re doing, you can trust that your vehicle will be operating in tip-top shape when you leave DePaula Mazda.